Autumn is harvest time and we have much to be thankful for. 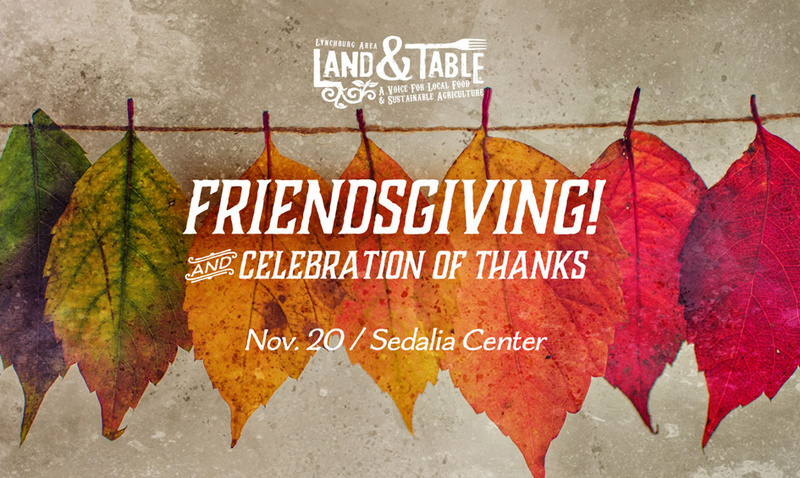 Join us for a Land and Table Friendsgiving social and ‘celebration of thanks’ on Tuesday, November 20 (5-8pm) at the Sedalia Center in northern Bedford County. 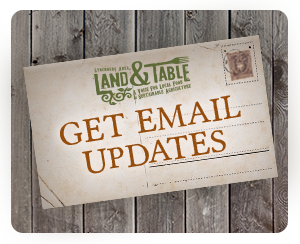 This is open to all and a great chance to meet and network with others who are passionate about local food and sustainable agriculture in the Lynchburg area.